Amazing new footage has emerged of a pod of killer whales playing with a yacht in New Zealand, which has just celebrated a record number of visiting superyachts last season. 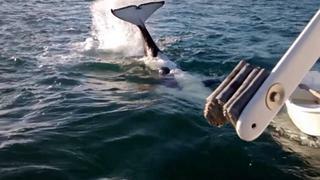 A local resident off Kawau Bay, Auckland earlier this month, captured the video. 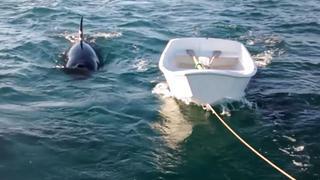 “We met this pod of Orca while sailing just off Snells Beach,” said Alexis Waterhouse. The group were about a mile from the beach on a 32ft yacht when they first spotted the Ocra. 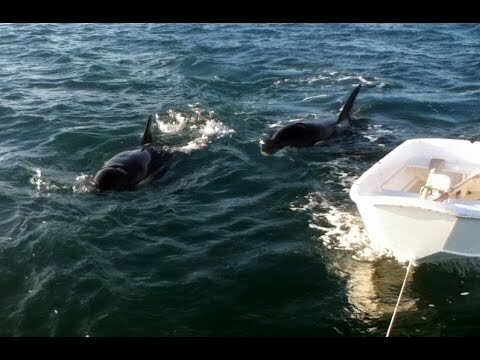 “The orca got closer and closer to us. It seemed like they were encouraged by all our excitement,” the filmer later wrote online. “They loved playing with the dinghy being towed at the back. They would hover at the back of the boat, open their mouths and ‘feel’ the self-steering rudder at the back – it was like they were trying to figure out what it was. “They would roll on their sides and look up at us as we waved and hollered in excitement from the boat. When the large female turned onto her back and started tail slapping it was incredible. "I have since learned that this is not unheard of; but what she was doing and the length of time that she was doing it for is very unusual. I think she was playing to the crowd!